Asobo Studios, one of the first companies to partner with Microsoft on HoloLens development, is applying their expertise towards building applications for various business verticals through their internal HoloForge Interactive team. 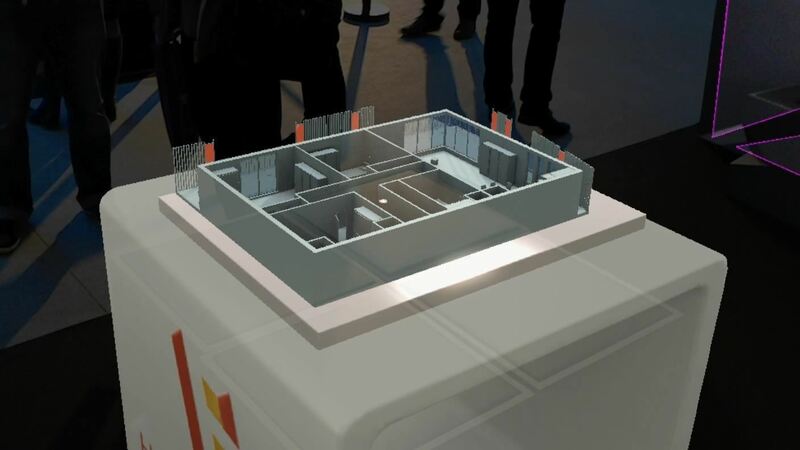 Their latest proof of concept is a holographic exhibition booth called HoloBooth, which debuted last month at Laval Virtual, an exhibition of augmented and virtual reality technologies in France. The fully customizable booth, viewable through HoloLens, can switch themes and designs instantly. "It will adapt to every type of space with or without the support of a physical booth. This means that you can set up your holographic booth anywhere within seconds. It's multi-lingual, multi-user and offers real-time interactions," said Sebastian Wloch, Asobo Studio's CEO, in an interview with Next Reality. Asobo Studios plans to offer the customized versions of the application at varying levels of service to other companies. Customers can provide their own 3D meshes, which the HoloForge team can easily plug into the application. Within a six-to-eight week time frame, the team can also build a fully branded and customized app that can work with or without a physical exhibition booth. "It is extremely easy to use so that everyone can explore and interact without assistance. But a presenter can also guide other users through the experience. It will definitely change the way people imagine events and promote brands at trade fairs," said Wloch. The HoloBooth is the second proof-of-concept app from the company. Last month, Asobo Studios revealed its HoloCrane training simulator. The company also acted as a development resource for a mine visualization application built in partnership with LOOOK, Inc. for BGC Engineering. Wloch notes that the apps were built for HoloLens as it's the only available device to offer an authentic and wireless mixed reality experience. Wloch envisions a full suite of generic applications as licensed business solutions for various verticals, including health, aeronautics, automotive, energy, entertainment, real estate, data visualization, and education. He sees the applications as an introduction for many companies into mixed reality, from which the HoloForge team can pursue more fully-integrated solutions. 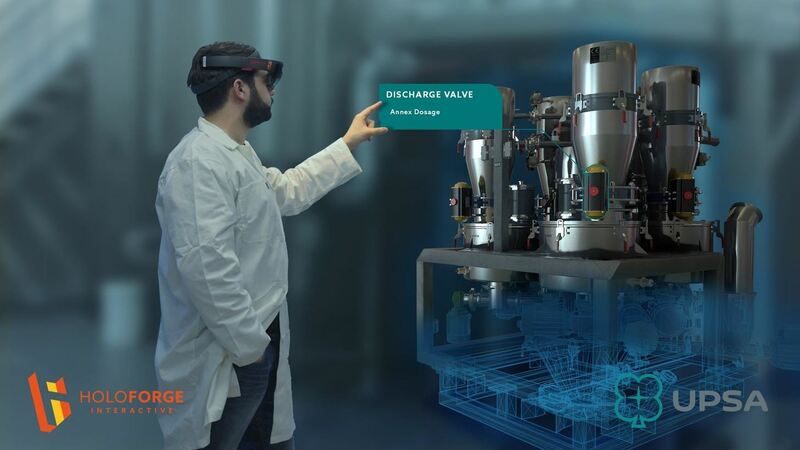 Our HoloLens apps' scope has already proven many times that we can directly influence productivity, training, maintenance, co-working, envisioning and even increase the attractiveness of job opportunities. In fact, the fields of application are endless. Our mixed reality HoloLens apps are designed for high acceptability, (and) function seamlessly and wirelessly in any environment. Asobo Studios earned their early access to HoloLens based on the strength of their collaboration with Microsoft and Disney-Pixar on the Kinect Rush game for Xbox 360. Working with Microsoft, they published the first games for HoloLens, Fragments and Young Conker. Most recently, the company was named to Microsoft's agency readiness program in Europe, one of five companies to earn the designation. "This is a seal of quality and a great acknowledgement of our experience. This puts the spotlight on HoloForge and will definitely help us expand our roster with other world-class partners and very different challenges," said Wloch.